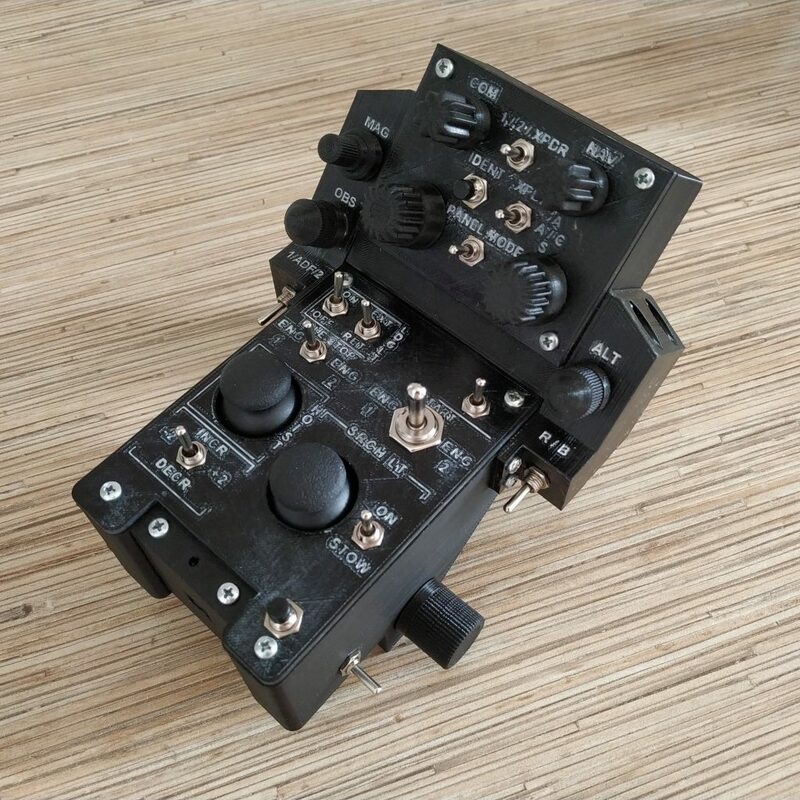 I am happy to present a new device in the line – the VRMAX radio panel. That thing allows us to operate knobs in the aircraft, basically all of them. This device uses more than 90 joystick buttons at the moment! 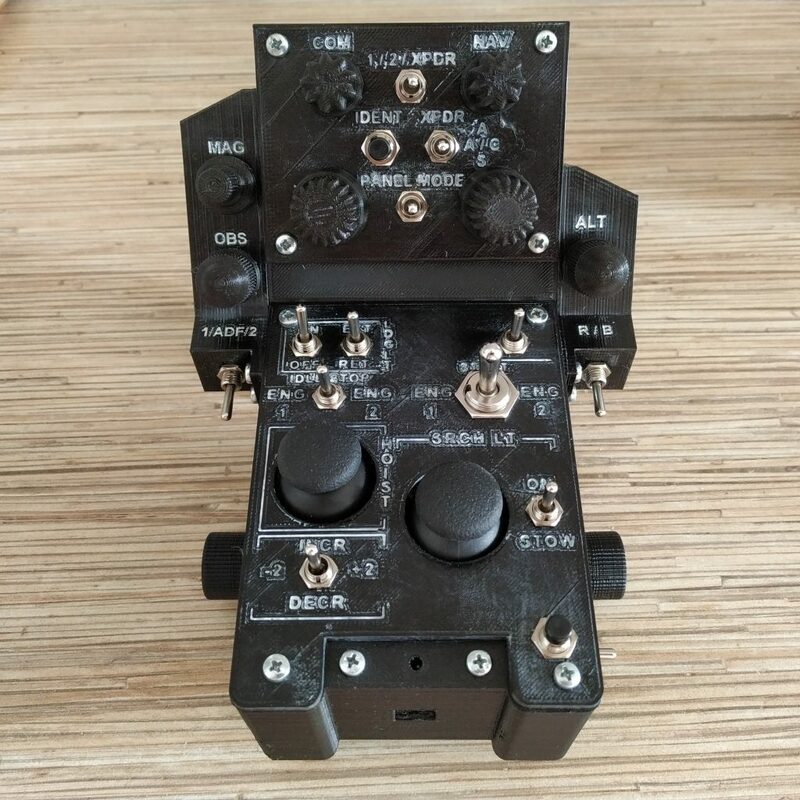 It allows to operate the following equipment: NAV / COM radios 1 and 2, VOR indicators, transponder, ADF radio and its indicator, directional gyro adjustment, altimeters (radio and barometric), and has 2 more modes that map 4 knobs of the radio panel to yet another sets of joystick buttons, for generic functionality you may need. 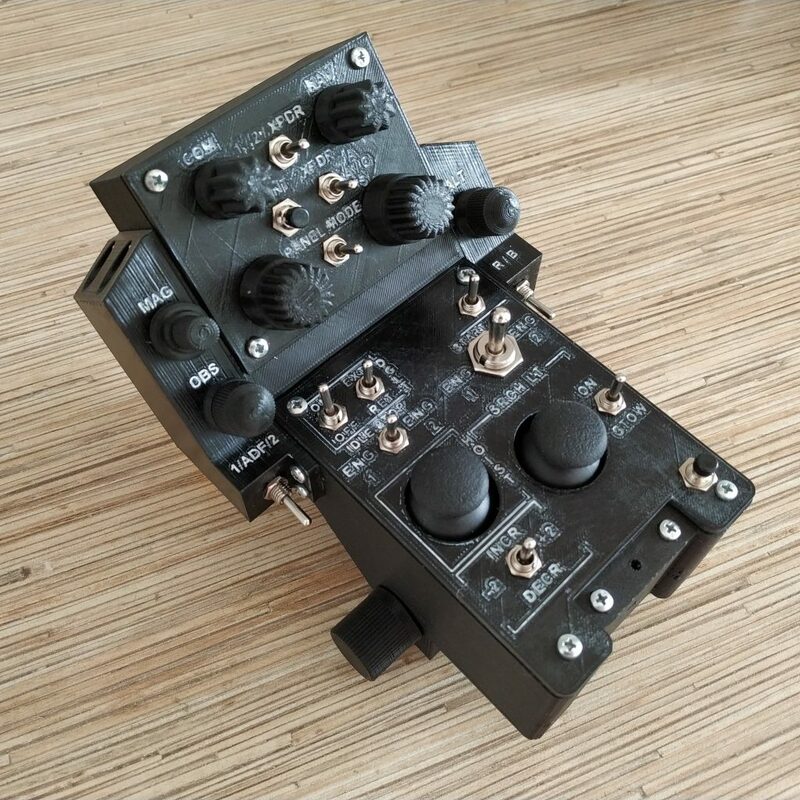 I will add an option that will add 6 more radio panel knobs modes, by making the panel mode switch respect the stack selector switch position, that should cover pretty much everything you may need. 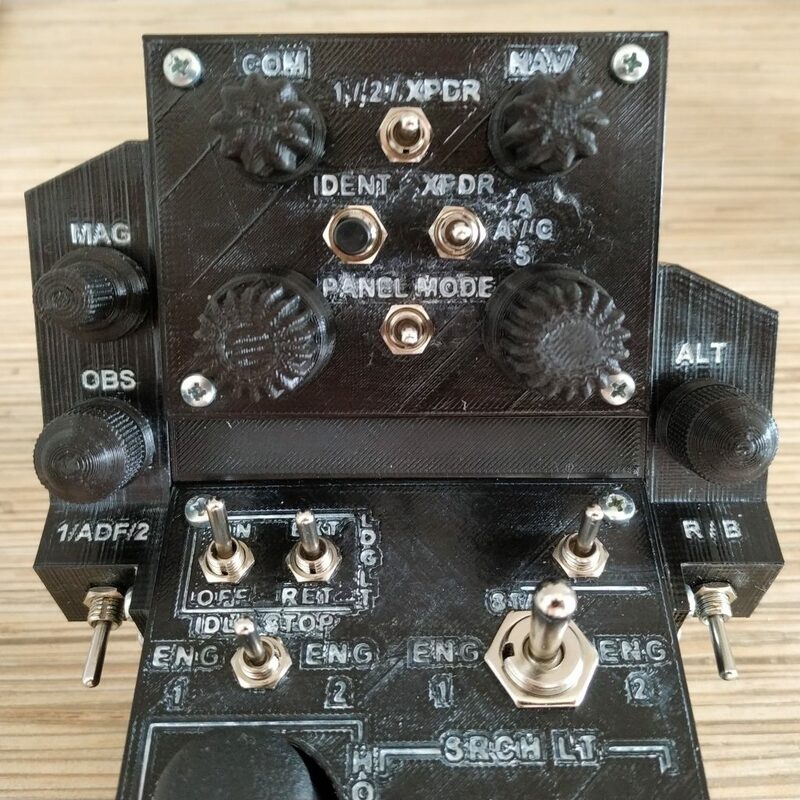 An important part: this head is called VRMAX because it is designed in a way that allows you to operate knobs without looking at them while wearing the VR helmet. All of the knobs are of different shape and are placed in distinctive positions. 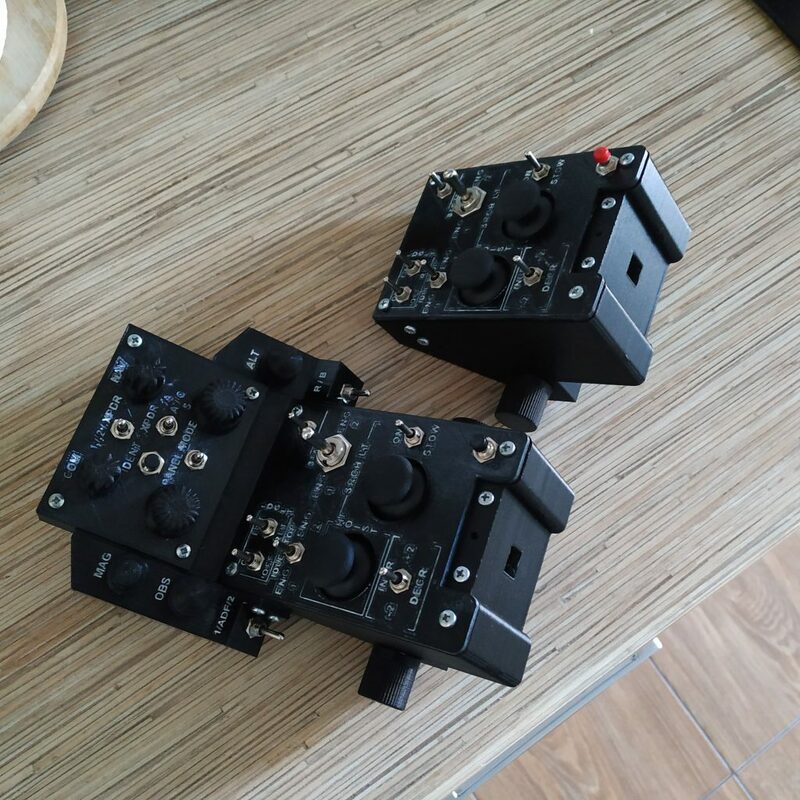 Positions of selector switches can be checked by simply touching them. All of the controls are packed in the tight space of collective head additional panels, and thus are always within reach, in a predictable place! The assembly manual along with STLs and sources will be available in a couple of days. If you want them right now, look for them in dev folder! Hi, I am looking at getting a 3d printer for this project. What size is the largest part? What size bed do you recommend?